What’s the Difference Between Casein & Whey? Dairy foods are a good source of high-quality protein. Not only does protein help us feel fuller longer, but it also protects muscles after we work out, strengthens our immune system, and regulates our metabolism. Protein should account for approximately 10% to 35% of your daily calorie intake, which ranges from 50 to 175 grams of protein based on a 2,000 calorie-per-day diet. 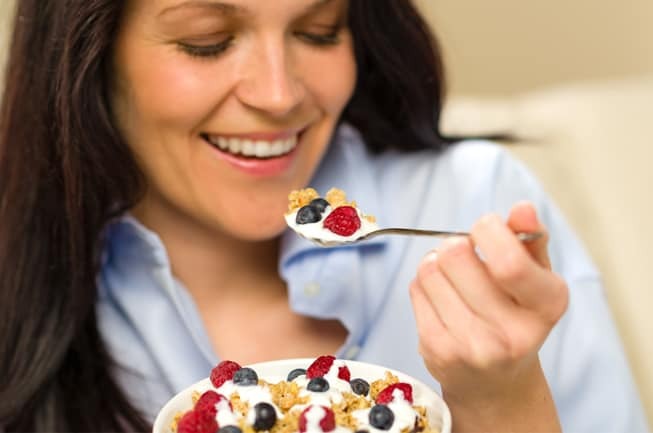 Lowfat and fat-free milk and dairy foods are a good way to meet your daily protein needs. What is the quality of protein found in milk and dairy foods? Milk contains two types of protein: casein (80%) and whey (20%). Both offer high-quality protein and essential amino acids in amounts sufficient to support the many roles of protein in the body. White milk, chocolate milk, cheese, cottage cheese, yogurt and Greek-style yogurt all contain high-quality protein. Whey protein is one of the best sources of branched-chain amino acids (BCAA), including leucine, which has been shown to stimulate muscle protein synthesis. Whey protein can be removed from milk, dried into a powder and used as an ingredient providing high-quality protein to a number of food and beverages. Consuming whey protein after your exercise can help restore muscle and replenish glycogen — helping you make the most out of your next workout. 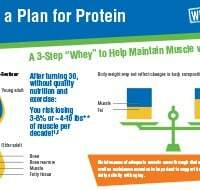 When consumed as part of a resistance training program, whey protein can help build more lean muscle. Additionally, research shows that calorie-for-calorie, protein can help you feel fuller longer than carbohydrates or fat. 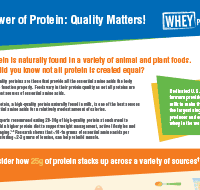 What is Protein & Why Do We Need Protein?